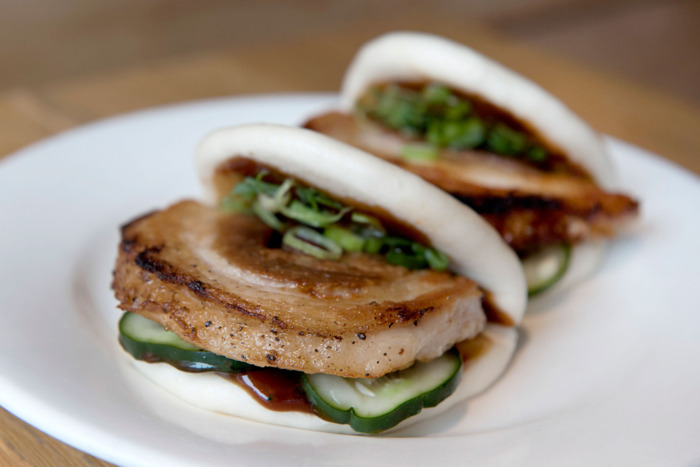 The term pork bun — the glorious term — can refer to one of two quite similar yet distinct categories of meaty treats. Both consist of steamed dough encasing fatty char siu, but whereas one is dumplingesque, with the meat usually chopped up, coated in a sweet glaze, and completely sealed within the dough until you break it open (the kind you get at a dim sum parlor or a Chinese bakery), the other is more like a sandwich (or a hamburger or a taco), with a circle of dough folded up into a clamshell around a slice or two of pork belly and various accoutrements. The latter, a Taiwanese night-market specialty, is also called gua bao, and the various iterations of it — including the riff on it found at almost every ramen shop — are what this list pertains to. Taxonomy aside, here are the very best gua bao–style pork buns that New York has to offer.